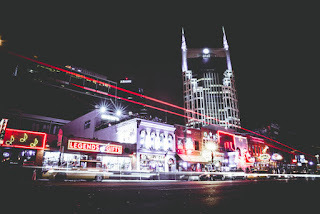 The UK's British Airways is all set to increase its scheduled flights to Nashville next summer, operating a daily flight between Tennessee and Heathrow. The addition of two extra weekly services means Nashville is British Airways fastest new route to move to a daily service in 10 years. The daily service will be operated by the Boeing 787-8 Dreamliner, the state of the art aircraft designed to enhance customer wellbeing. The aircraft accommodates 214 customers across three cabins, with 154 seats in World Traveller (economy), 25 seats in World Traveller Plus (premium economy) and 35 seats in Club World (business). All customers will be able to enjoy free meals and drinks, individual widescreen TV screens with complimentary on-demand entertainment, and a free checked bag. When launched, Nashville was the 26th US city British Airways flew to. Since then, the airline has announced it will start a direct flight from Heathrow to Pittsburgh in April 2019, operating four times a week. This summer, British Airways and American Airlines have operated up to 67 daily flights between the UK and the US, as part of their transatlantic joint business. British Airways is investing £4.5 billion for customers, including the installation of the best quality WiFi and power in every seat, fitting 128 long-haul aircraft with new interiors and taking delivery of 72 new aircraft. The airline is also investing £600m specifically in Club World, including outstanding catering and luxurious White Company bedding - plus, from 2019, a new seat with direct aisle access..